Ukraine’s battered hryvnia currency lost more ground against the dollar on Friday, slipping to UAH 23.70/24.20 by the middle of the trading day, compared to UAH 21.80/22.20 at the start, according to online financial Web site UkrDealing. Hryvnia quotations against the euro dropped to UAH 27.1459/27.7065 compared with UAH 24.9566/25.4123 to the euro at the opening of trade on Friday. The hryvnia quotes against the Russian ruble have settled at the level of UAH 0.3584/0.3662 compared with UAH 0.3306/0.3372 to the ruble at the opening of trade. 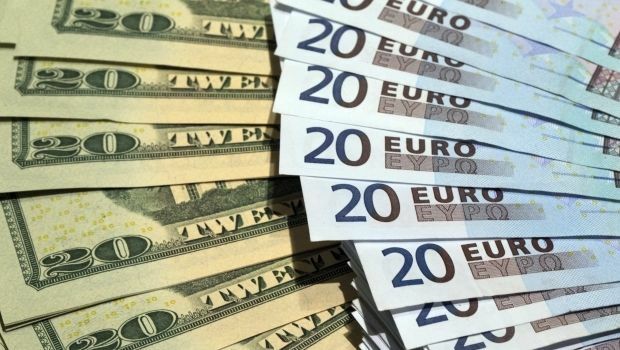 As reported earlier, hryvnia quotations against the dollar on the interbank currency market on Thursday had slid to UAH 21.80/22.20 to the dollar by the close of the trading day, compared to UAH 16.90/17.10 at opening of trade, when the National Bank of Ukraine announced it was ending daily auctions in the currency market to determine an equilibrium exchange rate. As UNIAN reported earlier, the National Bank of Ukraine gave up conducting daily auctions in the currency market to determine an equilibrium exchange rate. According to National Bank of Ukraine Governor Valeriya Gontareva, the difference between the real exchange rate and the indicative rate reached 20-30% and the conducting of daily auctions no longer made any sense. In addition, on Thursday the NBU sharply cut the official exchange rate of the hryvnia to a new historic low of UAH 18 to the dollar.